Once Again the team from Thailand Gap Internships successfully led the entire October group of PADI Instructor Candidates to the scuccessful completion of the PADI Instructor Exam! It has been a fantastic year for the Koh Tao IDC group as we have successfully negotiated 10 IDC’s without a single candidate encountering problems on the Instructor Exam. 100% Success on the PADI Instructor Exam on Koh Tao! This month we had a great group of people who again came from all over the world. Represented on the IDC were, China, England, Scotland, Switzerland, Australia, France, Russia and Holland. The PADI Course Director team included myself, Justin, Bob, Matt and Dema. Also contributing were Gramps and Suki. It was a great 2 weeks, followed by a tense 3 day Exam and a fantastic party at Vibe Bar (thanks Dave and Therese). Today, we’re beginning the Master Scuba Diver Trainer (MSDT) Internship where we’ll be teaching the Enriched Air (Nitrox), Deep and Wreck Instructor Specialties, followed tomorrow by the PADI Oxygen Provider and Search and Recovery Specialties. The recent weather and dive conditions are some of the best that we’ve had all year. We’re still seeing bullsharks and whalesharks on both Chumpon Pinnacle and Sail Rock. And the visibility is absolutely stunning! No doubt the monsoon season will soon be upon us, but we’re lookng forward to some more great weather and diving again by December. 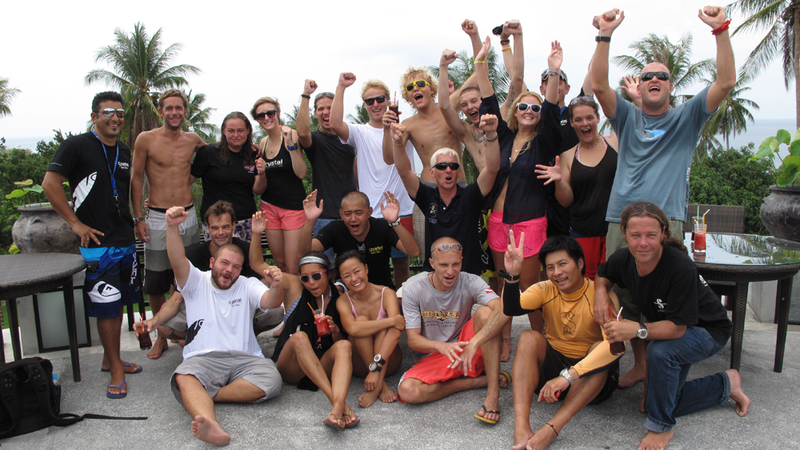 Congratulations to the new team of PADI Dive Instructors and best of luck to all of you guys in the future!